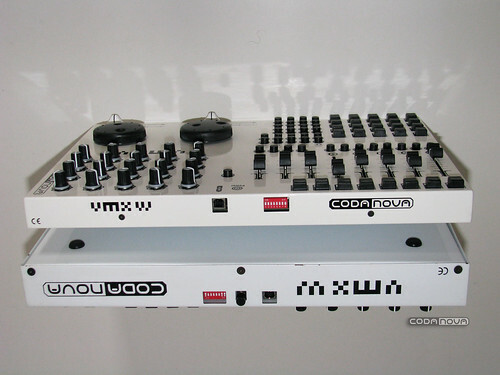 Via the fantastic French language VJ blog Le Collagiste, version two of Codanova’s VJ-centric midi controller has dropped, and been obsessively photographed alongside the original. The new VMX VJ is considerably slimmer, still bespoke manufactured in France, and as beautiful as ever. Shipping worldwide for €500.